Delphite (Jeannette) - (1930s). Several companies made delphite during the Depression Era, but one of the largest lines was produced by The Jeannette Glass Company. 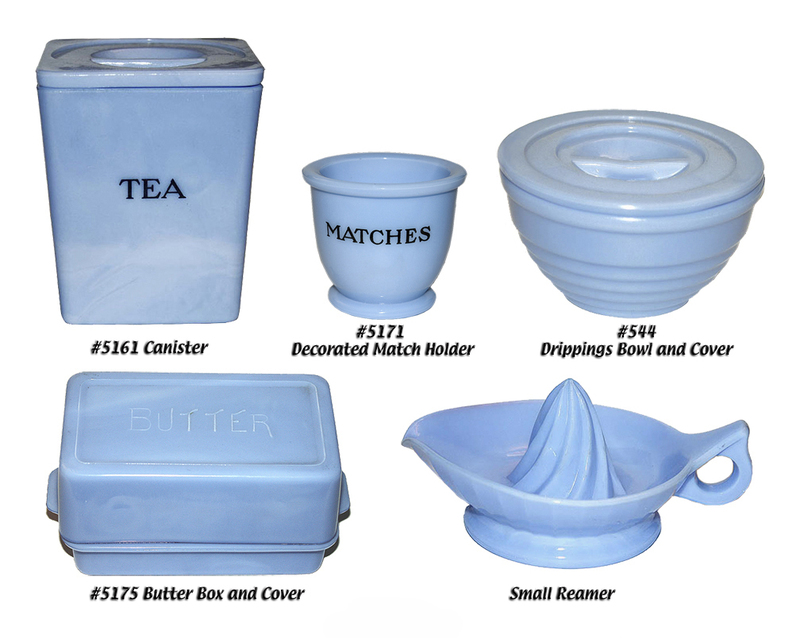 This beautiful line was produced in the 1930s and consisted of several different reamers, ribbed canisters with metal lids, square canisters with glass lids, round and rectangular leftover jars, a match holder, beater bowl with beater, both square and ribbed shakers, and horizontal ribbed and vertical ribbed mixing bowls. 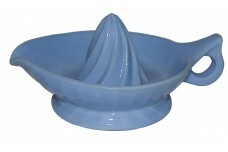 Jeannette made two of their major Depression Era dinnerware patterns to accompany this pretty kitchenware. 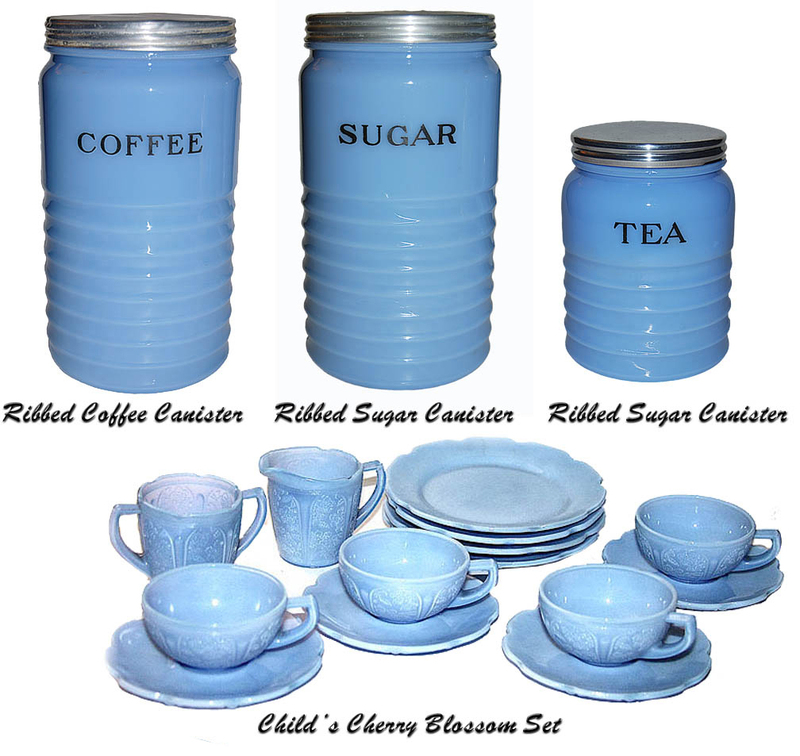 You can find a complete dinner set in both Cherry Blossom and Swirl. McKee also made many pieces in delphite (although the color is a little lighter). Collectors of Jeannette Delphite usually collect the McKee Delphite items as well.